With over 12 years of experience and continue education I have been able to create ALEJANDRO’S FUSION MASSAGE, which will help you to achieve your expectations & needs that your body & mind require to a healthy life. A fusion of different techniques are used during ALEJANDRO’S MASSAGE to help you not only to release any stiff muscles, reduce stress, increase flexibility & mobility, but also your muscles will feel relaxed, and your body & mind will feel energized at the same time. Thai Massage is one of the world’s oldest healing modalities, originated in India over 2,500 years ago, and is based on ayurveda and yoga. 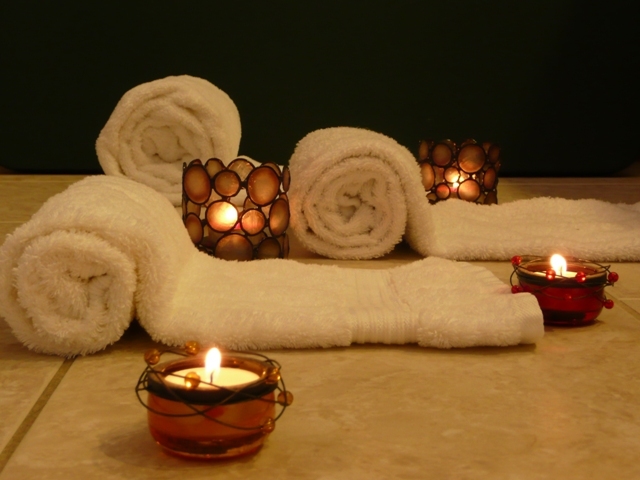 Thai Massage is a blend of yoga-like stretches, compressions, pressure points, joint & muscle manipulation. Usually done on the floor on a comfortable mat; the receiver wears loose/fitted clothes (yoga). Benefits from a session may include: releasing tight joints, releasing stiff muscles, increasing range of motion, improving flexibility, stretching muscles and reducing stress. Deep Tissue Massage is a technique that focuses on the deeper layers of muscle tissue. It helps to release the chronic patterns of tension in the body through slow strokes and deep finger pressure on the contracted areas, either following or going across the fibers of the muscles, tendons and fascia. Deep tissue massage usually focuses on more specific areas and may cause some soreness during or right after the massage. The purpose of a Deep Tissue Massage is to "unstick" the fibers of a muscle while releasing tension, removing toxins, and soothing the muscle. It is both corrective and therapeutic. ● Releases toxins from muscles and get blood and oxigen circulating properly. Clients remain loosely clothed; no oils are used during CDT (Compressive Deep Tissue). This type of massage is done on the floor on a futon with pillows for comfort. Therapist’s feet are used to apply direct slow and deep pressure to muscles through compressions. Using the feet as a compression tool, I’m able to apply deeper pressure, and maintain the pressure for longer period of time. Broader range of pressure also is great when using the feet. Abhyanga is an Ayurvedic type of massage therapy that involves liberally pouring warm oil over the entire body and then using smooth, medium pressure, fast and slow pace strokes on the body. It is recommended to get Abhyanga massage frequently to keep their bodies balanced, healthy, and focused. Abhyanga massage is meant to nourish the body with touch and rich oil, and while it certainly promotes healthy circulation and joints, relaxes and nourishes the stiff muscles. Abhyanga massage can also be done in tandem style (4 hands-massage) pouring warm oil over the entire body and synchronized strokes.